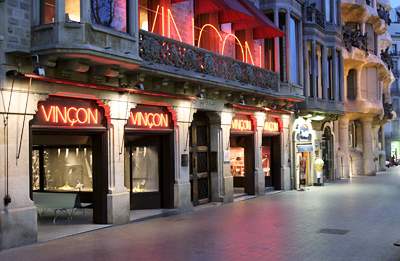 The design force which is Vinçon is a classic store housed in a stunning modernista building on Passeig de Gracia. Originally the CASA of Ramon Casas, friend (and mentor) of Picasso. The store is a must stop, when in Barcelona. 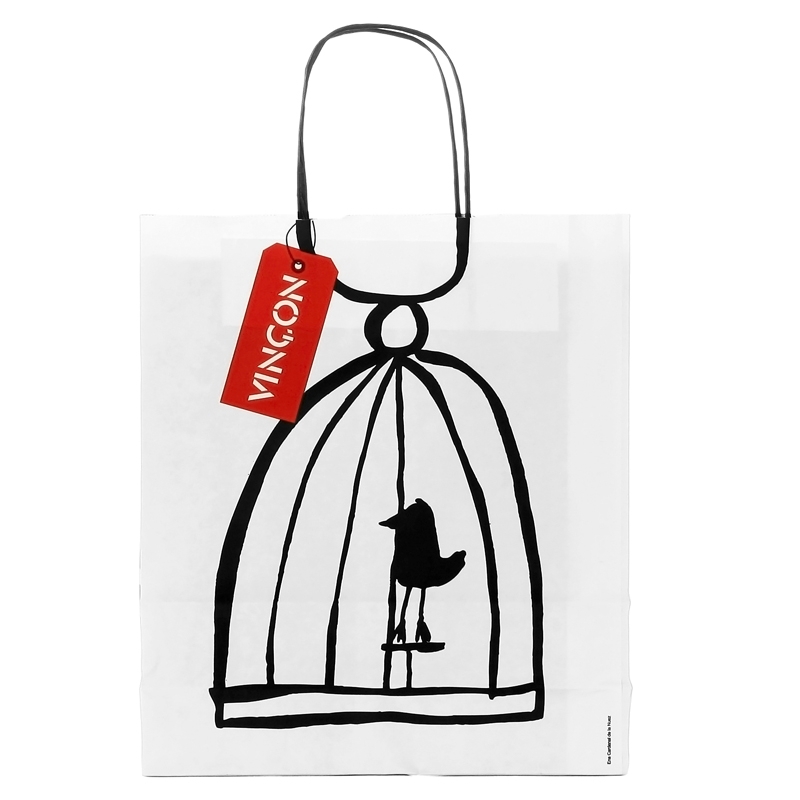 With two floors, an art space and a spectacular terrace- Vinçon is a shrine to design. Which brings forth design enthusiasts like moths to a sleek designed flame. It is only fitting that such an iconic store would have an equally iconic bag. 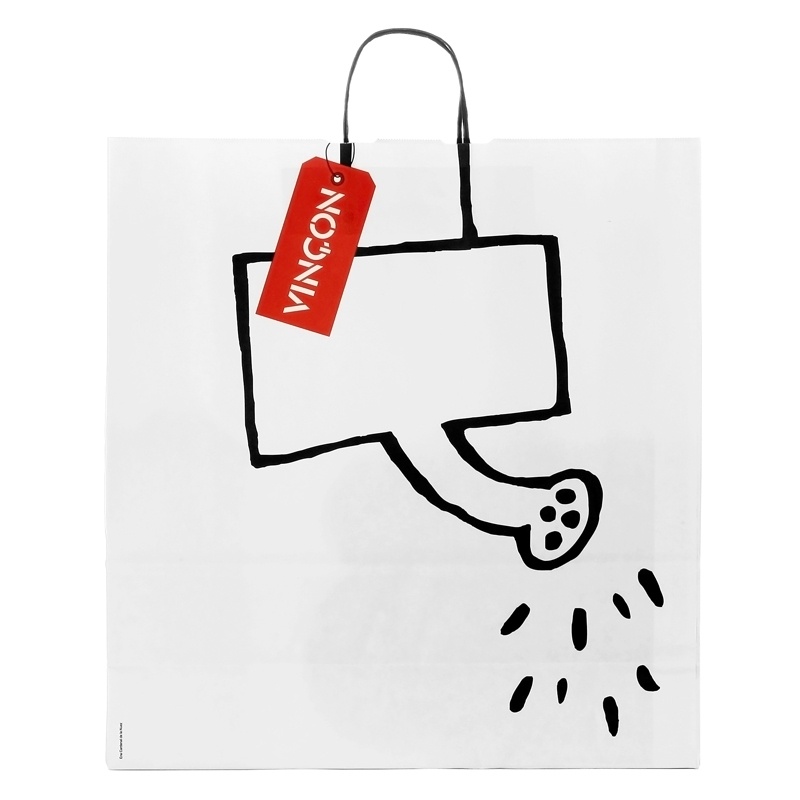 Every year the store releases a holiday version of their bag which has become a holiday tradition for over 30 years.The Vinçon holiday bag has become the equivalent of the Pirelli Calendar. Designed by America Sanchez, these bags have won countless awards for their originality and humour. 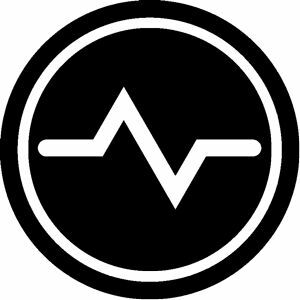 As far back as 1972 -Vinçon has been awarded the trophy for:” best Laus corporate identity” honoring the graphic image of Vinçon. Sanchez, who has since become responsible for maintaining the image often re-tweaking the bags, with only subtle changes noticeable to the public. The design of the bags, however, is renewed twice a year and has become somewhat of a collector item for the people who love their Mariscal wallpaper and Jean Nouvel Chandaliers.